NOTIO provides GIS analysis and consultancy services, for the implementation and development of Geographic Information Systems suitable to the needs of the client. NOTIO offers solutions in the area of Territory Management and Planning, which allow the publication, exploitation and consultation of urban, cadastral, local infrastructure and facilities survey, industrial land, tourist resources, street and urban guides. NOTIO covers the whole process of implementing a GIS, including the evaluation of the state and organization of customer data, the treatment of the same, including transformation, topological debugging and loading data from different formats and representation scales. The design and implementation of the Databases and repositories of cartography, as well as the flows and processes of elaboration and maintenance of the geographical and alphanumeric information that makes up the GIS. To all this, we must add the development and programming of GIS tools for the analysis and exploitation of the information residing in the GIS, both from desktop environments and web environments. NOTIO offers GIS Consulting and Analysis jobs to individuals, companies and organizations. We have experience in sectors where the use of GIS technologies is more common (Environment, engineering, landscape) and in sectors where its use is not so widespread (Geomarketing, transport, etc.). NOTIO also develops WEB GIS tools where customers can store and consult their cartographic information either privately or for their clients or the general public. Geospatial solutions: geospatial analysis of the territory, satellite imagery and remote sensing, thematic cartography, natural and anthropic risk management, forest management, etc. GIS and Environment: We have a great experience in the application of GIS tools in many different fields of the environment. 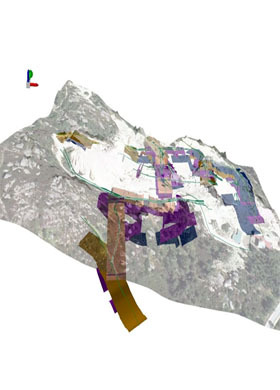 These tools are a great help to carry out studies of the different environmental components that can affect a project, and even allows to carry out multivariate analysis that allows to select the proper location of a project in the place where the least impact will generate. 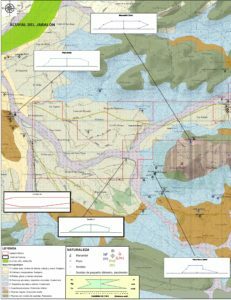 GIS and Engineering: These tools allow multiple applications in the field of engineering in general. In the field of hydraulic engineering, for example, NOTIO has supported numerous hydrological studies (determining drainage networks, delineation of specific basins, flood areas, etc.). Calculation of volumes of land, determining the best location of a project complying with a series of technical requirements, wind mapping for the location of wind farms, are other examples of the numerous applications made in this field. GIS and Landscape: NOTIO has a large experience in the preparation of landscape studies and visual impairment studies of numerous projects. In this field, the GIS allows to determine the degree of visibility of a structure in the distance and to analyze its potential affection on the surrounding elements before being constructed. They also allow the development of three-dimensional simulations and photomontages of realism, allowing the final result of the project and its integration into the environment to be known. GIS and Transport Networks: Although the most common applications of GIS to transport are focused on management tasks, these types of tools have very useful applications when it comes to designing. Among other applications, GIS allows the analysis of the territory to determine the route of a communication path in a way that minimizes costs and their environmental effects, allow the mapping of access or exit times to a point in a communications network. Which facilitates the decision making in determining the best service location and a long etcetera. GIS and Territory: In addition to the most well-known applications of GIS to land use planning, NOTIO has developed projects with more specific territorial applications. The division or division of farms through the application of GIS and the selection of land based on specific characteristics within an area are some examples. 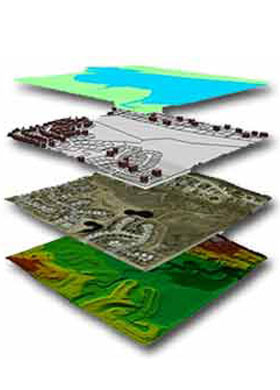 GIS and Mathematical Models: We have experience in the GIS world with geological modeling, air quality modeling, water quality modeling (CE QUAL W2), hydrological modeling (HEC RAS, HEC HMS and GEO RAS) Of avenues, of river habitat, etc. Geomarketing: Geomarketing is a discipline that aims to provide information with a spatial component to make business decisions. Develop simple market analysis, analyze the competition, determine the best location of a business or a venue based on multiple variables (competition, potential customers, etc. ), where to focus a sales campaign, etc. Web mapping or WEB GIS: NOTIO has specialists in developing tools for consultation and online management applied to each of the previous sectors.